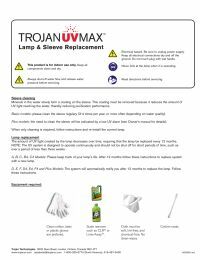 The Trojan 602803 Lamp is an original replacement UV bulb for use with Trojan UVMax-A water disinfection system. 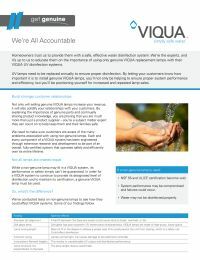 When you buy a Genuine Trojan 602803 UV lamp you can be assured of the performance, safety, and warranty of your system. Note:If you are replacing discontinued lamp part # 602725 you will also need adapter part # 602980.